possible. Below is a starting out checklist to help you start making your dream of running a business a reality. When starting up a small business, you need to have complete faith that your product will do well against its competitors. Whether you are becoming freelance or selling a product that you create, you need to assess similar companies out there and outline how you will compete successfully against them. Simply ask yourself - what is different and unique about your business, and how you are going to market that? This goes hand in hand with the above point. The most crucial part of any business plan is outlining why your company is different and likely to succeed in the competitive market. Potential investors need to be able to see how your business will generate money from the get-go, so it’s important to have a specific paragraph at the top of your plan detailing how you are going to do this. If you are creating a business plan for the first time, it may be beneficial to download a template which will help you get started. The following checklist points will also help towards creating your plan. Now if you are starting up your own business, you may have been thinking about it for a while, and even saved up a pot of money ready to start off. If you are, however, low on funds, say you are a graduate or have decided to go down a new career path, there are alternative finances to help you out. Now you may be wondering how does alternative finance work? Luckily, there are companies that supply grants and support for new entrepreneurs to help you find your feet in your industry and receive the best possible funding to suit you and your business. It is a good idea to research your options, and choose what is best for you. When starting out a new business, marketing is your bread and butter. Your business or product could be the best in the entire market, but if potential customers don’t hear about you, it’s worthless. Make sure you get your business out there in every way possible. As well as the traditional leaflets and posters, Social Media, like Facebook, is a great way of reaching a lot of people in a short amount time. Outsourcing for a professional to run your Social Media accounts for you - if your budget allows this - will allow you more time focus on the customer service and business that is generated from successful marketing. 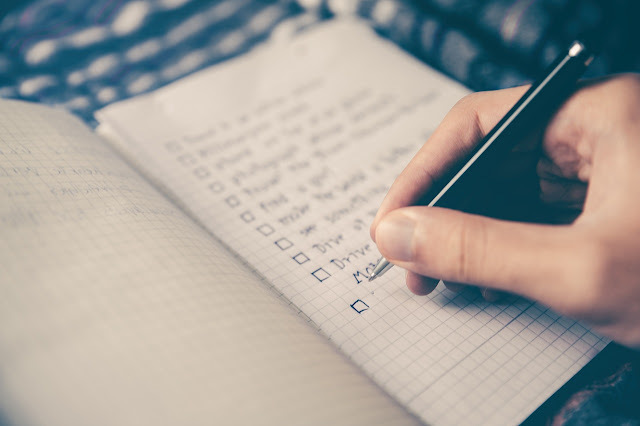 Be sure to write any tips you have in the comments if you have started out on your own, alternatively, it you are just starting out, hopefully, this checklist is helpful and best of luck.